Choosing a destination for summer vacation can be a bit trying. While some seek uncommon experiences filled with discoveries and adventures, others just want to relax under the sun, splash around in the sea and walk among endless greenery. From Bali’s pristine white sands and serene atmosphere to the fresh blue waters of Tanzania, here are our picks of cool island destinations for a fresh summer vibe. 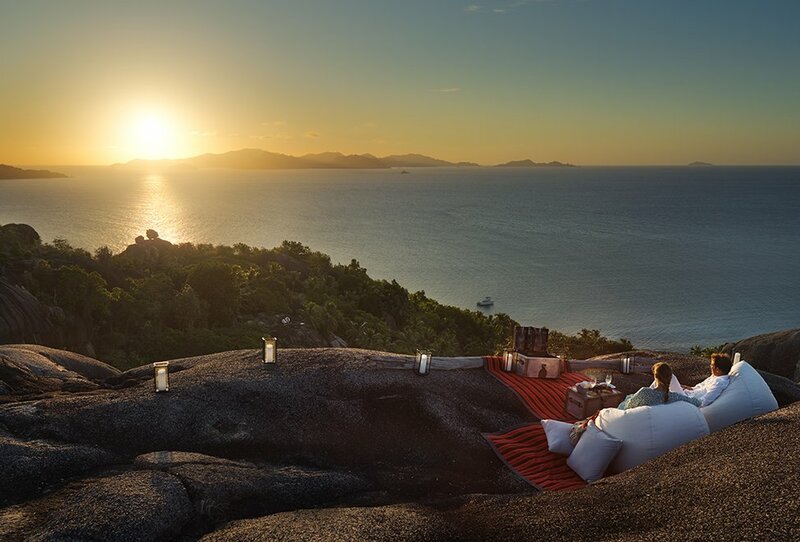 Six Senses Zil Pasyon is located in the Seychelles‘s Félicité, a private island composed of massive granite rocks, beautifully balanced out by white sand beaches. A 20-minute flight or short boat trip away from Seychelles International Airport, the island is blessed with ‘perpetual summer’, and is safely tucked outside the cyclone belt. 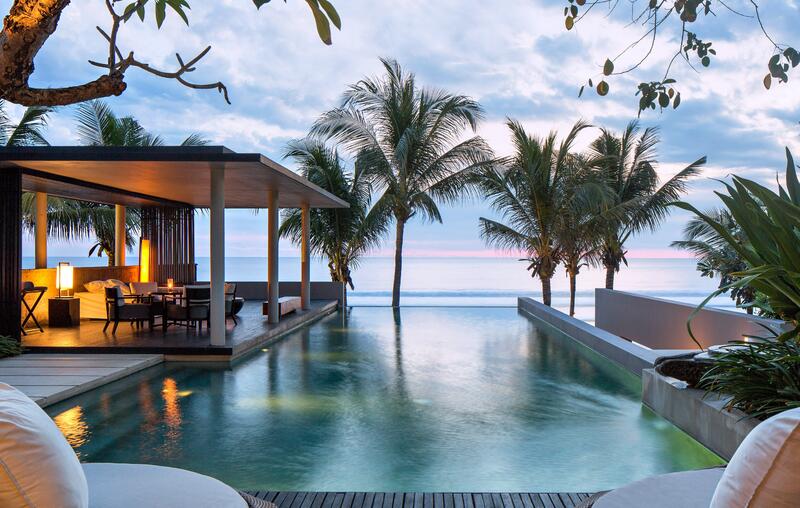 Take comfort in knowing you’ll be staying at an award winning property; the Six Senses Zil Pasyon won the UK’s Daily Telegraph Ultratravel’s Editor’s Award for Best New Hotel in the World this year! Created with the renowned Six Senses flair, the resort still has a very personal touch that embraces nature, completely marrying its surrounding. The 30 one-bedroom or multiple-room pool villas are architectural masterpieces representing a bold vision of environmental consciousness. 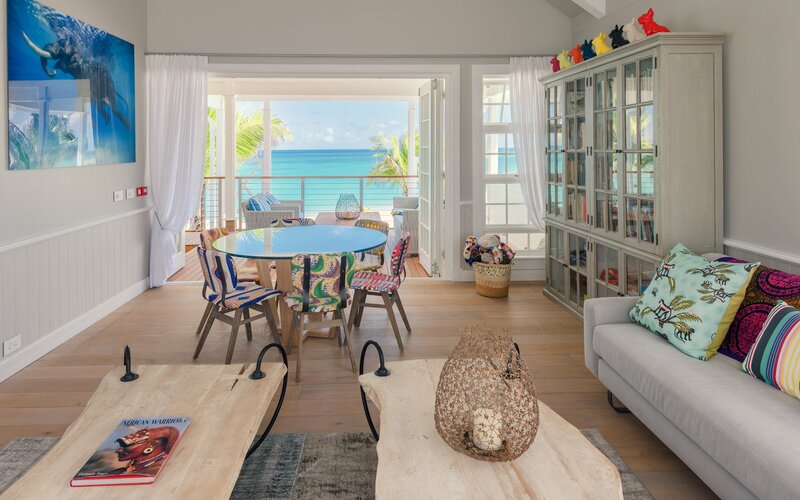 Set among lush vegetation, with stunning views of the sea, their locally-inspired décor combined with advanced technologies ensure utmost comfort and style. Must-try experience: The ‘top of the hill’ is one of the most romantic/exhilarating places on the island. The virtual castaway experience is a 90-minute hike through the deep jungle of Félicité with the Island Conservation Manager. The exciting walk leads up to the top of the island and the Coco de Me, where you can enjoy breakfast prepared by the resort chefs. Adventurous couples looking to build unforgettable memories can opt for sunset cocktails (pictured above) overlooking the island’s greenery and surrounding waters. 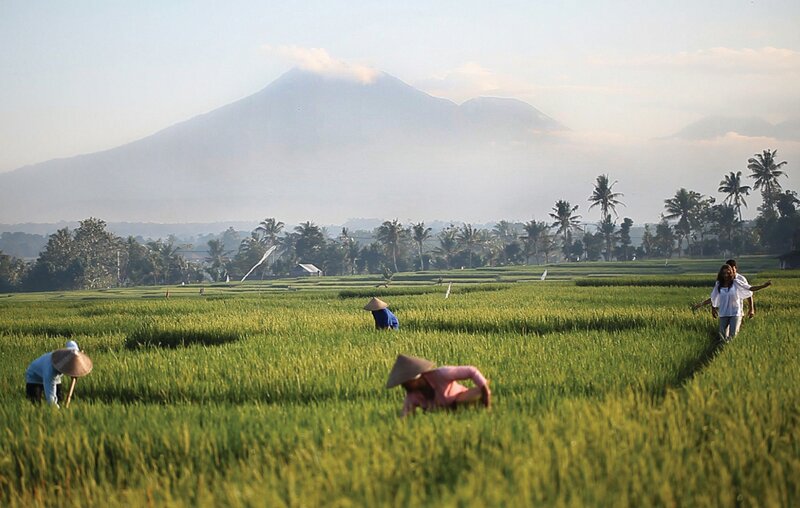 May, June and July are generally considered to be the best time to travel to Bali weather-wise. However, preferences vary depending on whether the traveler is a surfer or an explorer; for example, during the dry season which runs from May to October, the western side of the peninsula witnesses some of the world’s best waves. 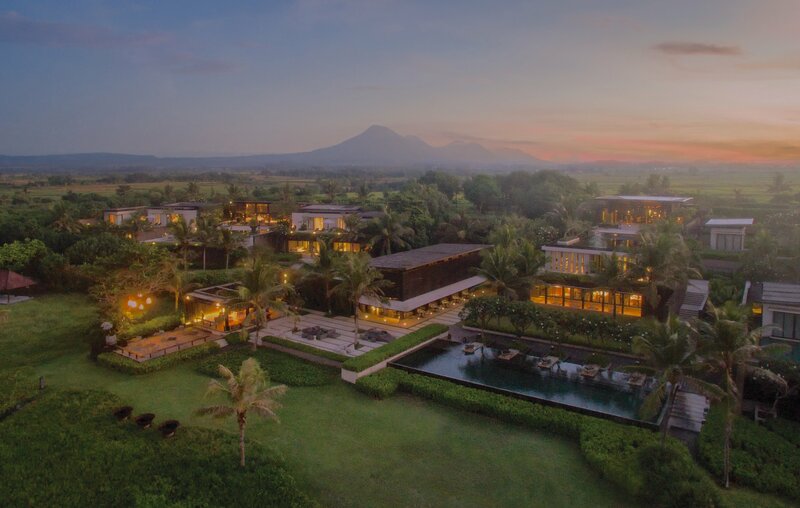 Located on Bali’s south-western coast, Soori Bali, a Leading Hotels of the World property, stands in the picturesque Tabanan Regency with its beautiful scenery made up of volcanic mountains, lush rice fields and breathtaking black sand beaches, the resort was designed by owner and operator architect Soo K. Chan. 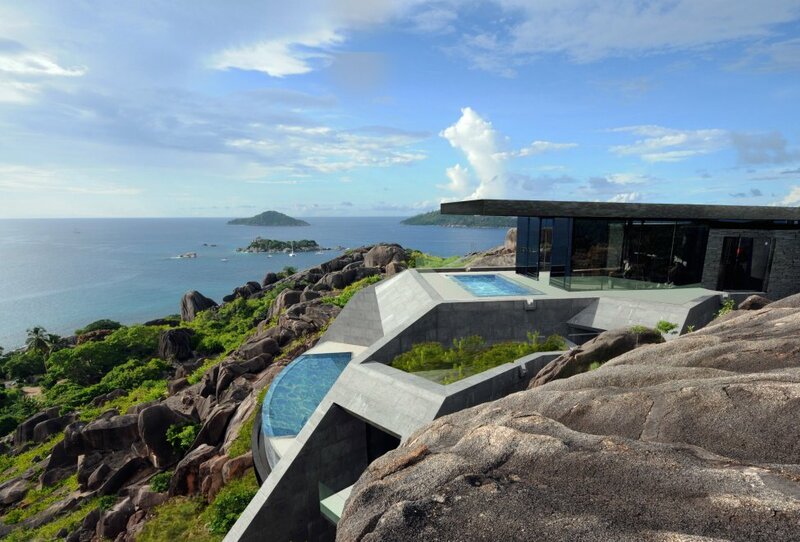 It features 37 mountain, beach and ocean villas, each with a private infinity pool overlooking marvelous views. The property offers three dining options, all using fresh produce from nearby farms and spices from the resort’s own garden. The full-service Soori Spa ensures full relaxation and an escape into a worry-free world, while the shared infinity pool and 24-hour gym keep your energy flowing. Bookworms can retreat to the full-fledged library to indulge in some reading. Must-try experience: ‘Journeys by Soori,’ a series of customized experiences exclusively offered at the resort, offer guests half or full day bespoke experiences that focus on spa and wellness, Balinese culture, arts and crafts or environmentally conscious excursions. 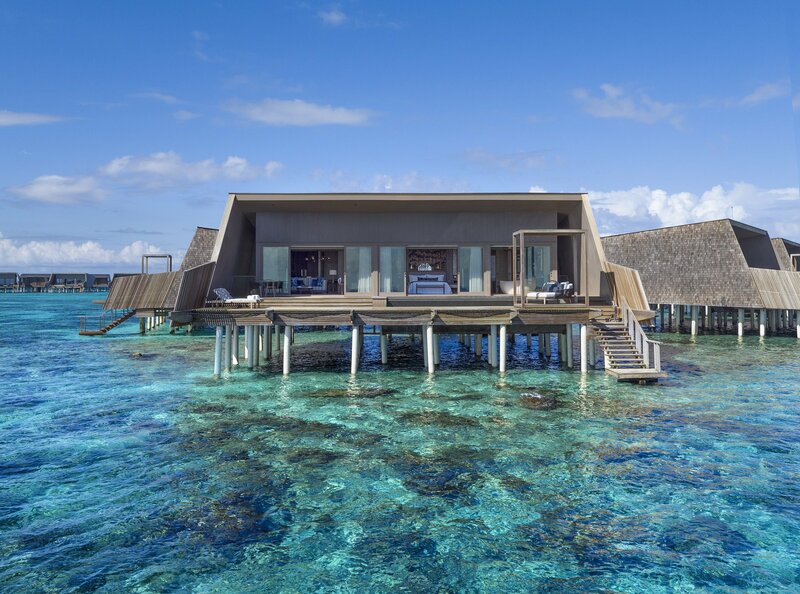 Designed with great respect to its natural surroundings, the St. Regis Maldives Vommuli is surrounded by a large ‘House Reef’, with the island being defined by several distinct ecological areas: lagoon, beach, coastal and jungle. The 77 island and overwater villas, nestled among rich tropical flora, are elegantly furnished and decorated with an island-inspired palette of cream, sand, turquoise, and gold. Each villa has its own pool, for a private rendez-vous with fresh waters. The resort’s signature Iridium Spa is a transformative journey into an oasis of tropically serenity, modeled after a holistic approach to wellness and rejuvenation. 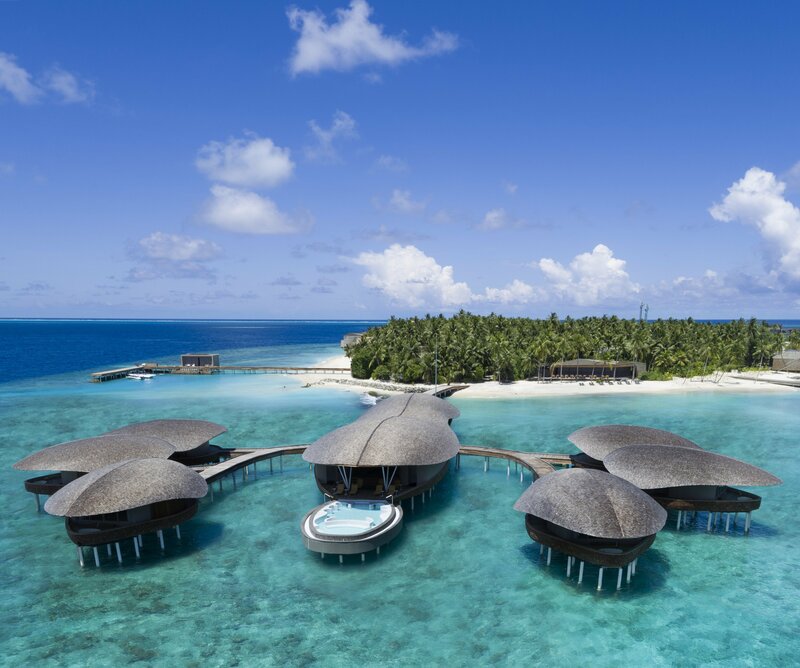 Ultimately sophisticated, the spa features six private couple treatment suites, a steam room, sauna and the Maldives’ largest heated seawater hydrotherapy pool: the Blue Hole Pool. The high-quality treatments are all enhanced by Natura Bissé products, ensuring effective results. Seen from afar, the spa looks like a giant lobster formed by several small, overwater constructions. The resort’s facilities include a yoga and meditation studio, an exercise studio, a tennis court, fitness center, dive and water sports center, library, children’s club, and The St. Regis’ famous Butler service with its unique culture, celebratory rituals, for uncompromising luxury. Six different and equally interesting dining options ensure all taste buds are satisfied; with Italian, Asian, Middle-Eastern and continental cuisines, in addition to a specialized pizza restaurant and The Whale, a tapas bar, you won’t be limited for choice. Must-try experience: Benefit from the ‘Summer in Paradise’ package (June 7-August 31) which offers several exclusive benefits including 20% off room rates, a daily breakfast buffet at Alba Restaurant, complimentary food and beverage credits and bubbly upon arrival. Additionally, kids aged 12 years or less stay and dine for free. 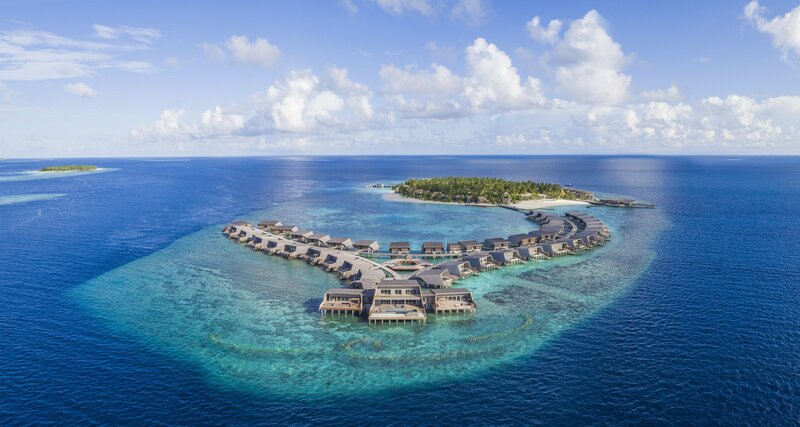 Thanda Island is considered to be one of the most exclusive tropical getaways in the world. 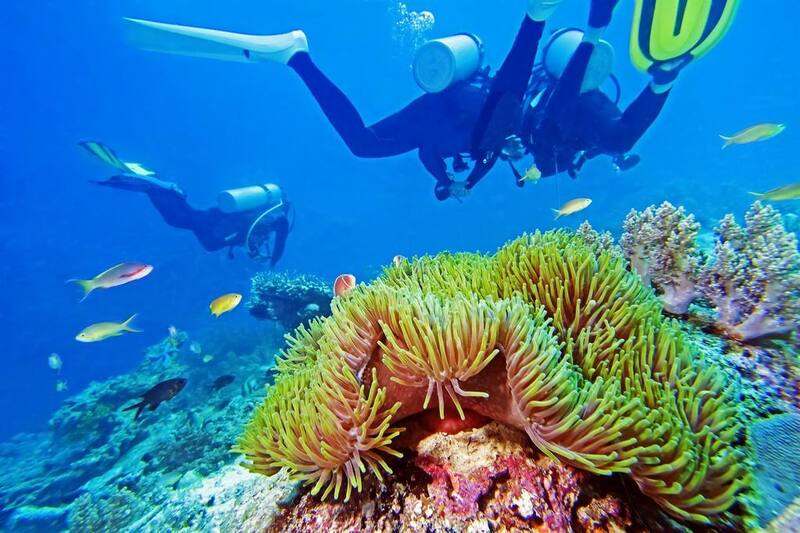 Located between the mainland of Tanzania and Mafia Island (yes, a funnily scary name), the island is surrounded by its own coral reefs which protect it from heavy storms. Its exclusivity resides in the fact that it features only one private villa, five suites and two rustic Tanzanian Bandas, making it a sanctuary of complete seclusion. 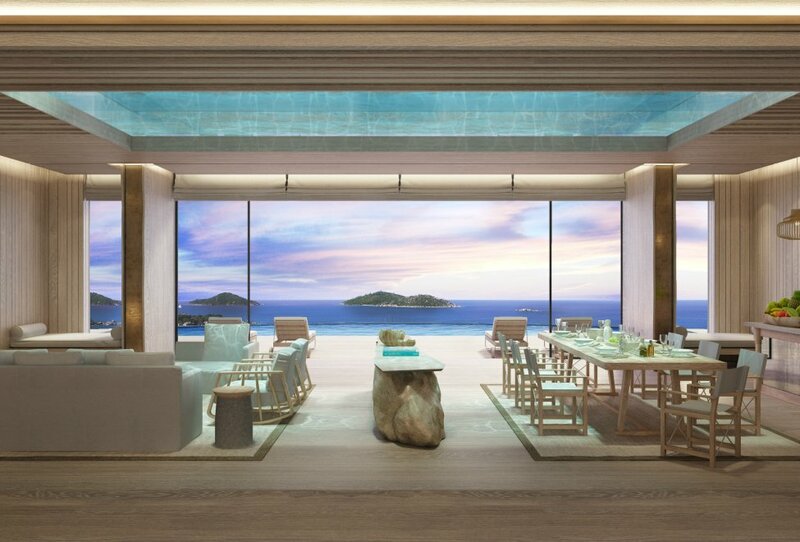 Showered with ample sunshine, the island is powered by sustainable energy with no negative environmental footprint, and is a with family and friends. The accommodations on Thanda are sprinkled with shades of white, turquoise and light-colored wood, with a variety of colors rendering the surroundings even more joyful. 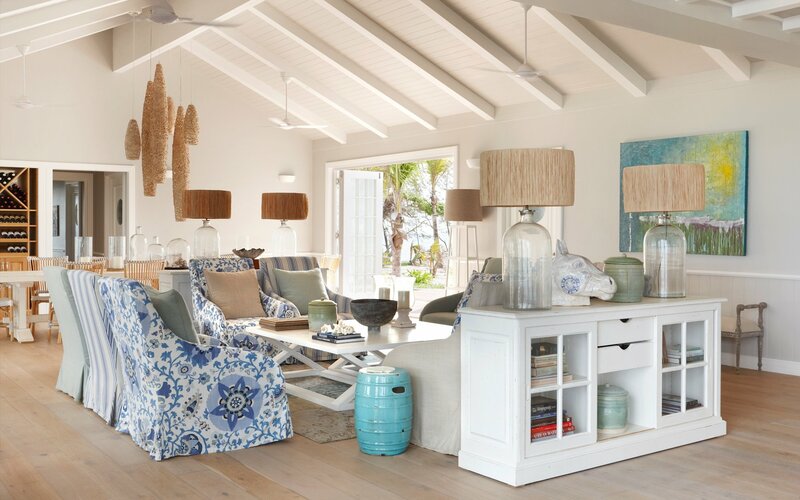 The villa, suites and Bandas interiors and furniture have a very ‘homey’ feel, yet retain a luxurious vibe. The bedrooms and living rooms look exactly like you’d want your home to look like. Guests can rejuvenate and enjoy a variety of land and water sports, or special island activities such as the Thanda Island Egret Walk, which leads you head through the bush behind the Villa onto a white sand trail to visit the white, grey and black Egrets that inhabit the island. 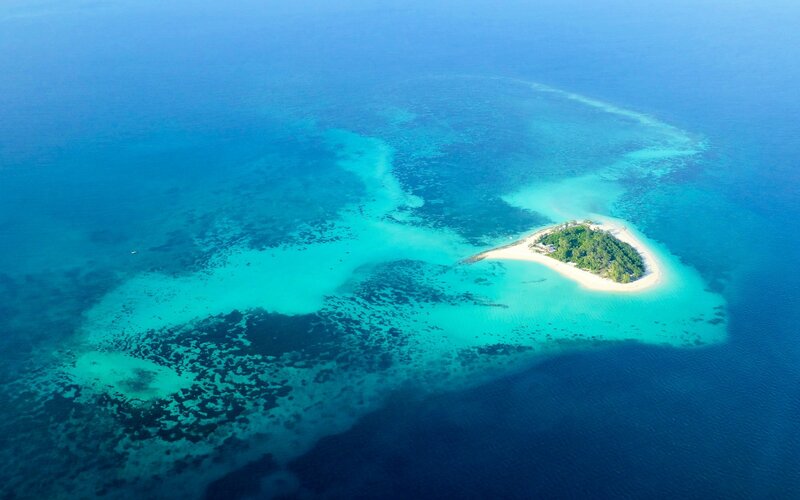 Must-try experience: As the island is located in Tanzania’s Shungimbili Island Marine Reserve, marine conservation is at its core. Through ongoing partnerships with the Tanzanian Marine Parks and the leading NGO, Sea Sense, guests are encouraged to get involved in a range of educational projects, such as marine wildlife monitoring (pictured above) or awareness workshops with villagers on neighboring Mafia Island.